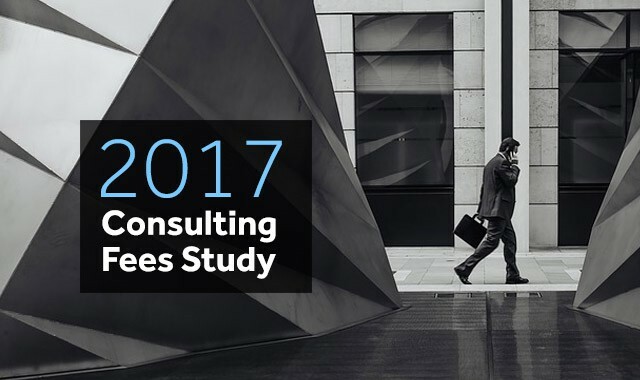 We recently asked over 25,000 consultants about their approach to pricing and fees as part of our 2017 Consulting Fees Study. Below you’ll find the results from our survey as well as my commentary and observations. The most common pricing structure and approach for consultants is project based pricing. However, when you combine hourly rate and daily rate pricing (both are often, but not always, driven by number of hours involved) the ‘Hourly’ driven approach has the majority at 41.3%. Consulting fees based on a monthly retainer equal 15.1% of the total. 43% of consultants who participated in the survey earn $5000 or less per project. About 15% earn $5,000 to $10,000 per project. 13% of consultants earn between $10,000 and $20,000 per project. 13.9% of consultants charge on average between $20,000 and $50,000 per project. 8% of respondents charge $50,000 or so per consulting engagement and about 6% charge over $100,000 per project. A whopping 80% of consultants would like to earn higher fees. While about 20% are happy with that they are currently making as a consultant. The chart represents monthly income. Almost 50% of all consultants who responded to this survey are earning less than $60,000 per year as a consultant. However, 22% earn up to $120,000 per year and 20% earn up to $240,000 per year. A minority of this group currently earns between $300,000 and $1.2M or more per year. 54% of consultants run a high margin and usually very profitable consulting business and enjoy a 60% or greater margin. The largest single majority, at 25.5%, enjoy an 80% margin or better. Few businesses have such a great margin. About 22% of consultants run their consulting business at a 30% or lower margin. 23.7% of consultants have been consulting for over a decade. 35% or so have been consultants for over 7 years. Close to 40% are new to consulting and have been consultants for less than two years. A large majority, almost 60% of all respondents are based in North America. While Europe, Asia and Africa being the next largest with about 33% collectively. The next thing I did was look deeper into the data and cross-reference different categories. Here are some additional insights for you. Consultants earning over $20,000/mo are split almost equally between project based fees and hourly and daily rate pricing structure. This is the same for consultants earning $10,000/mo or less. On question we’ll look at in a further study is “The intensity and number of hours worked to generate a certain level of income.” I believe we’ll see consultants using a project based fee approach will conduct their work with more freedom, flexibility and less time intensity. While consultants who try to figure everything out themselves and don’t take the time to really learn how to grow their business the right way or are not committed to consistently implementing are the ones that struggle. Another interesting finding is that many consultants are earning well into six-figures in their first 1-2 years as consultants. And this study showed that there are plenty of consultants who have been consulting for over 10 years and yet still struggle to create a high-level of income. My observation from coaching and working with hundreds of consultants is that those that focus on their marketing and have a clear plan of action are the ones who most often reach six-figures, then into mid-six figures and then create million dollar consulting businesses – and this can happen quickly. The consulting industry continues to grow as we see the number of consultants who are new remains strong. What other questions would you like answers to? Let us know and we’ll share them in the comments below or include them in our next Consulting Fees Study. To all those that participated, a big thank you! My pleasure and glad it’s helpful. This is great information. Since I started it’s been a challenge to understand the intricacies of fees. Thanks for sharing. May I just reconfirm that these are fees for independent consultants? Dear Hui, let me share a pricing strategy. Don’t think about how much you should charge but think about how much they can pay. Demonstrate value, position yourself high and they will feel privileged to get your consultancy at the rates you dictated. Thanks for that tip. It’s often difficult when you are starting out but I do hope to build my portfolio and credibility quickly enough to command the rate. Great insights. I was surprised by the annual consulting income results – particularly as it shows that the potential for higher earnings doesn’t solely rest on experience. Consistent processes, strategy but above all mindset seem to be the key. thanks. Yes, it is so important to success. Sameer, we do have that data but we haven’t pulled it out specifically in this report. If it’s something you and others are interested in we can look into that. Noted, thanks Giuseppe. If we make updates we’ll let everyone on our email list know. do you have data on UK consultants? and for consultants who work in specific industries? @MaureenAskew:disqus we could break this data out from the study but we haven’t yet. First priority was to give a global overview. Thanks for sharing the information; very informative. I would love to learn what types of marketing and what percentage of time consultants spend on marketing versus direct client work. It seems a delicate balance as one must market to obtain the next client while performing work. I am very surprised to see so many fellow consultants earning such low income. Guys, try to find areas of consultation which are critical for a company. If you and your offered knowledge is not easily available then companies will be ready to pay a lot more. @Daniel Diosi Great to have you participate Daniel. How long have you been consulting for and what advice has served you best that you’d like to share with others? Michael, your articles are always amazing and your valuable advices have guided me to manage my consulting business well. I take at least 2-3 hours a week to read new and earlier posts from Consulting Success. One particlular advice I would like to share is to focus on a very specific area of expertise and have a scalable business model. My company offers rolling analysis while consultation and management services are for a premium fee. Another advice is to build valuable partnerships but even more friendships. Most of my contracts are signed by people who I helped out earlier. And when they go to another companies they sign me up there too. Great share Daniel and thanks for being a part of the community! Thanks so much for doing this survey. I appreciate the info as well as the other articles connected to this one. @hopehills:disqus it’s our pleasure and we do it for exactly this reason, so appreciate your comment and knowing that it helps consultants like yourself. Very Informative study, it would be very interesting to see what the data suggests when looked at by industry (consulting field) and income bracket and also consulting experience. Thank you ohhhhsooooo much for Sharing this info. I’m not at beginners stage but I am. I’ve been consulting for years with friends and associates thus not charging. Now I’ve finally gotten a contract and don’t know my worth. Helpppp! But I’ll figure it out. But was wondering if there was a breakdown of areas of expertise that we could get a round about figure of what to charge? Just wondering. Once again thanks for info. Under annual income, is this what the consultant is paid (salary) or their annual sales revenue? Great question. Income usually refers to what you’re taking home and putting into your bank account. However, some people may have answered this thinking it is gross revenue.